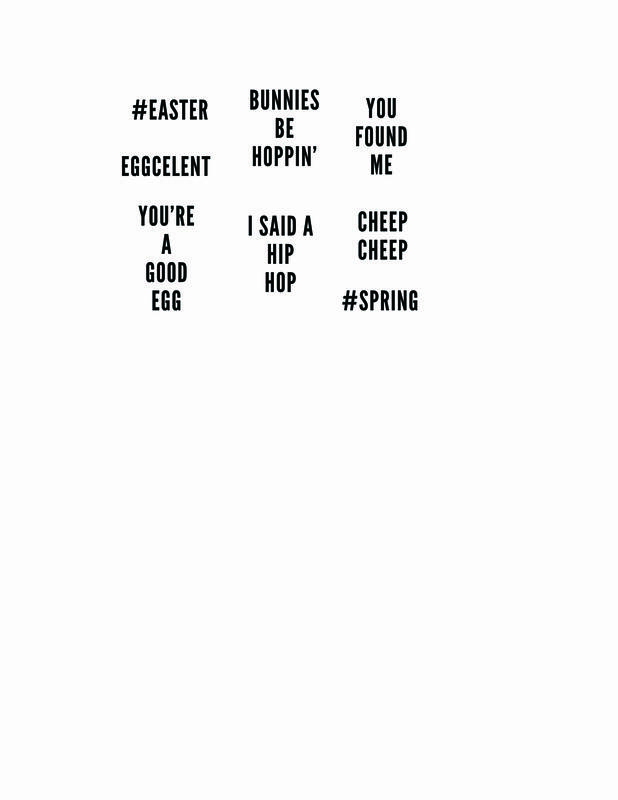 Who doesn't love Easter eggs season?! I vividly remember sitting around our kitchen table at home with my mum and sister and tons of little neighborhood friends and decorating egg after egg, one more garishly painted than the next, glue and feathers and glitter in abundance. Now, as a mum myself, I love to carry on this tradition with my own children and their little friends. And much as I obviously love their adorable smeared-with-glue-and-glitter efforts (and proudly display them around the house), I still like to indulge in a little grown-up egg decorating too, and if you are an eager Pinterest fan like me, you will already know that the sky is your limit when it comes to gorgeous egg-ideas. So never mind the book club this week, girls. Time to get the gang around for some Prosecco and egg painting, I think! While these look very hard to get right, they are apparently easier than they look. And oh-so pretty too. Choose one colour dye (food colouring works perfect for this), and create a variety of shades by leaving them in the colored water for different amounts of time, creating the ombre look. Try 30 seconds, then 1 minute, 1:30, 2 minutes and so on. There’s no exact science, so have fun! 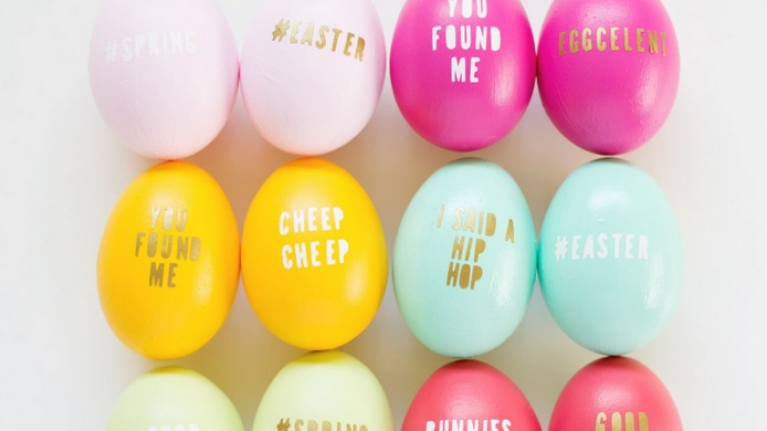 Typography is all sorts of hot, and I personally can't wait to decorate my Easter brunch table with these! Note: You can do the letters by hand, but if you are an avid arts and crafts fan, investing in a cutting machine might be a wise move, and will save you tons of time. Cut out your letters in phrases that you love. If you like these, you can download the file right here! 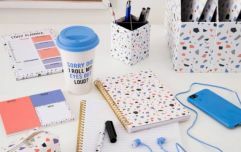 Upload it to the Cricut design space and cut, or print it onto your contact paper and cut out the letters by hand. Set your letters aside. Hard boil your eggs and dye or paint them. Just cover them with a coat or two of paint and let them dry thoroughly. 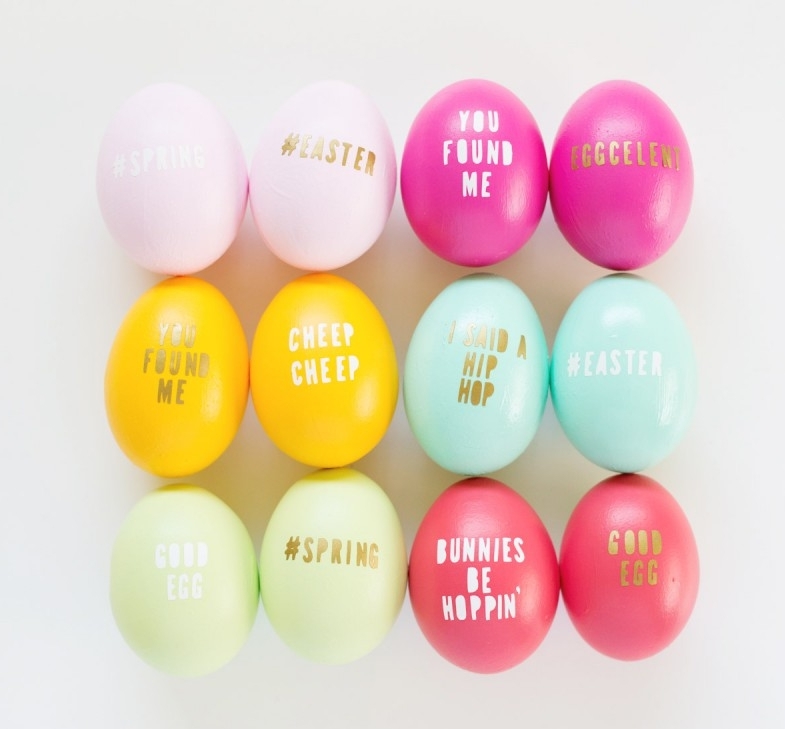 Stick your letters onto your eggs! It can help to use tweezers for placement if your letters are extra tiny. Press the letters into the eggs to be sure that they adhere thoroughly. If you, like me, go weak at the knees for a little glitter, these eggs are your boo. Step 1: Boil eggs with vinegar to prevent cracking. If you want to keep the eggs for ever you will need to pin prick a raw egg on both ends and blow the yolk out of it, then let it dry outside. Step 2: Pop a little food colouring in a bowl with enough water to cover the eggs you want stained. This lady used a pinky red colour and immersed the eggs overnight, then took them out and let them dry on some paper. The overall colour comes out all patchy and almost watercoloured. 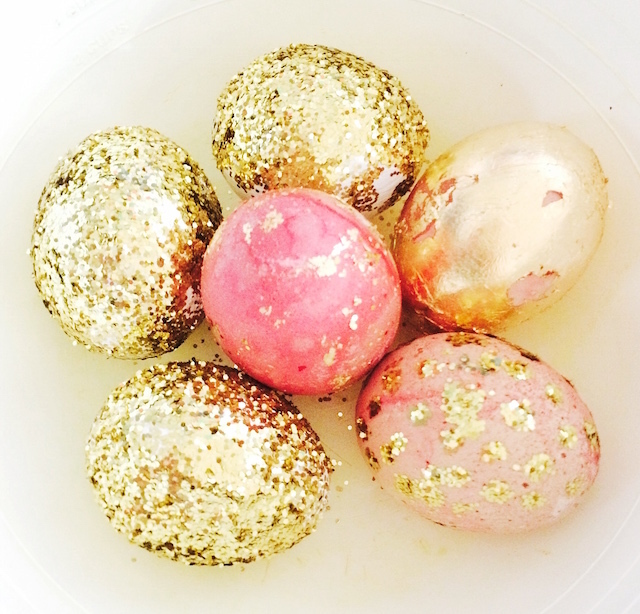 Step 3: In a bowl add some glitter and with the wet painted egg use the paint as a ‘glue’ and roll the egg very gently in the glitter and sprinkle more on the spots that are not covered. Gently set aside in a bowl or on newspaper. Make sure the egg is completely covered or any exposed paint will stick to the newspaper or bowl and rip off when you move it later. 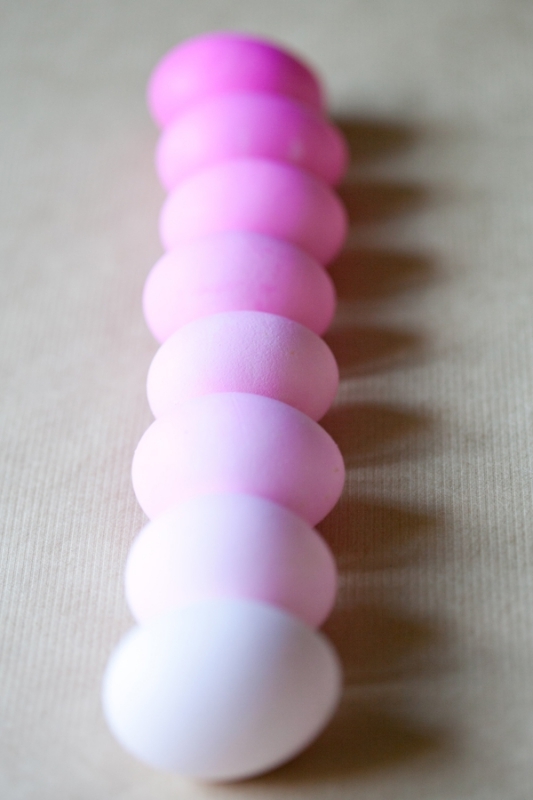 Step 4: Grab the glue and pop spots or any pattern you like over the food coloured egg or a plain egg or a white egg. There are no rules. Your imagination can go wild. Step 5: Sprinkle glitter gently over the egg and let the glitter stick to the parts where you applied the glue. I LOVE the idea of messy glitter dots. If you want to be a bit more neat with things use a finer grain of glitter. It will stick easier to the glue and the excess will just glide off. Thicker glitter tends to stick around and is a lot more messy. Step 6: Grab the gold size and apply to your food coloured eggs. You can either cover the entire egg to have a solid gold coloured egg, or use your hand to just apply in spots, you will need a small little bowl with a little gold size in it so that the egg can sit for a few minutes before applying the gold foil. Step 7: With clean dry hands, apply the gold foil to the egg. Gold foil is super delicate. Coat the egg in the foil with your finger and let the excess land on a dry clean space for the next egg. Let all the eggs dry for a couple of hours in a clean dry bowl.